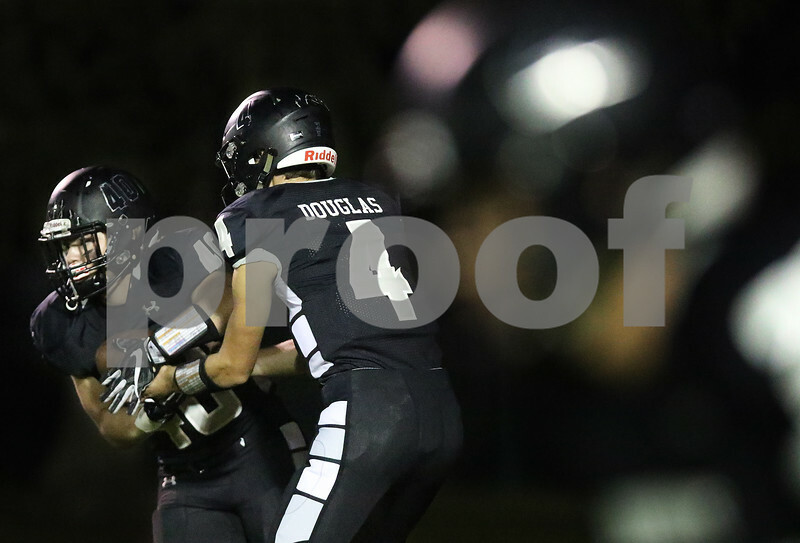 DeKalb takes on Kaneland during their football game on Friday, September 23, 2016 at Kaneland High School in Maple Park. Kaneland quarterback Jack Douglas, center, hands the ball off to Jonathan Alstott during their football game against DeKalb on Friday, September 23, 2016 at Kaneland High School in Maple Park. DeKalb won the game 49-31.